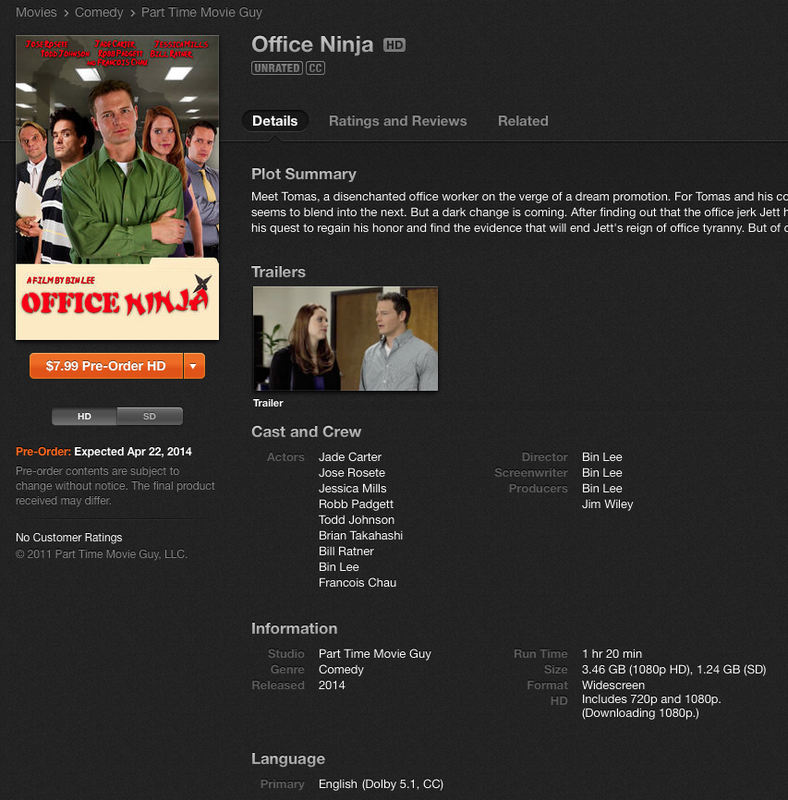 Office Ninja: Pre-Order Office Ninja on iTunes! Looks like Office Ninja is coming to iTunes next Tuesday. Naturally, my ninja guard is up, so I'm not going to believe it until I see it. But obviously iTunes/Apple is pretty reliable. You can actually pre-order it now.